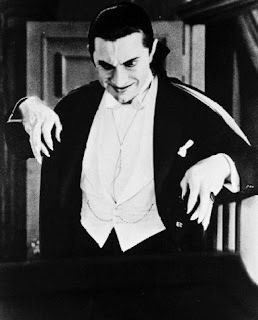 Count Dracula--aristocrat, scourge of Transylvania, and mystical being who thrived on the blood of humans--passed from immortality Thursday at the age of 512, following a grisly attack in his home. In what is being called a "heinous hate crime against the undead," several individuals broke into Count Dracula's castle around 5:30 AM, made their way down to his coffin chamber, pried open the lid, and savagely cut and stabbed him, finally driving a sharp piece of wood through his chest cavity. Dracula, sensitive to daylight and wooden objects being shoved through his chest cavity, immediately succumbed to his wounds. Two men, Dr. Abraham Van Helsing, 61, a medical doctor and self-proclaimed vampire hunter, and Jonathan Harker, 32, Exeter solicitor, are being held in the staking. Several other individuals were questioned and released. A third attacker, Quincey P. Morris, 34, was injured in the attack and remains in critical condition at Transylvania Memorial. Charges against the three men are expected. According to those closest to him, Dracula was at times a reclusive individual who generally avoided daylight and religious idols. But a charming vampire, he always welcomed wayward travelers into his home, and before draining them of their blood, was sure to treat them to a nice meal and good wine. Dracula was also generous toward several causes, particularly bat species preservation and the eradication of Italian food. Police are investigating a possible connection to the recent deaths of Lucy Westenra and R.M. Renfield. Dracula is survived by his three vampire brides, and his wolf and rat minions. Surprised Carl Kolchak wasn't involved in the killing. I loved that show Night Stalker when I was wee.